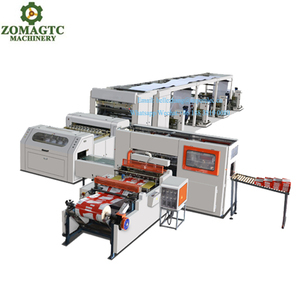 4 YRS Zhejiang Gaobao Machinery Co., Ltd.
Sigo 450V+ automatic a4 paper cutting making machine. 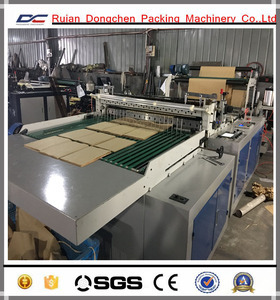 2 YRS Ruian Dongteng Machinery Co., Ltd.
10 YRS Yichang City Hengchang Fasteners Co., Ltd.
1.It adopts PLC touch screen control, servo motor for controlling constant-length cutting. 4.We have three types machine of single roll,double roll and four roll loading. 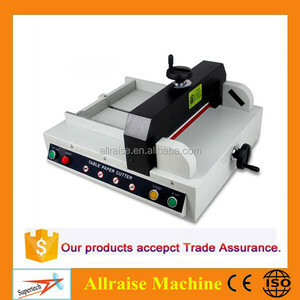 It can cut one, two or four paper material rolls at the same time, which decide the speed. 3 YRS Shanghai Mengji Industrial Co., Ltd.
2 YRS Shenzhen Bascocut Technology Co., Ltd.
11 YRS Henan Fuyuan Machinery Manufacturing Co., Ltd.
5, Technical consultation and project evaluation: we offer training service, our engineers are available to go your country to train your workers. 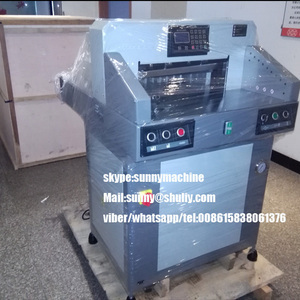 2, Main frame of Equipments on the A4 Paper Making Machine: 1. 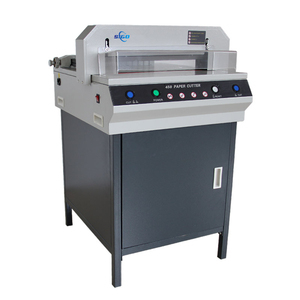 Fourdrinier part: The length of fourdrinier part is 12m; vacuum couch roll &Phi;650mm&times;2300mm; open style headbox, inner is bordered with stainless steel, drave by two homogenate roll, macromolecule water board, macromolecule anti-grinding faceplate; suction box 6 pieces. 3. Dryer part: &Phi;1500mm&times;2300mm alloy dryer can 16 sets; &Phi; 1500mm&times;2300mm chroming dryer cans 4 sets; pneumatic load device; rubber hardness HSD 90 &deg; &plusmn;2; multi dryer part is equipped with fluctuate dryer mesh. cutting thickness 45mm Precision &plusmn;0.5mm Clamp paper electric Push paper electric safety protective cover NW. 110kgs GW. cutting thickness 50mm Precision &plusmn;0.3mm Clamp paper electric Push paper electric safety protective cover NW. 130kgs GW. cutting thickness 80mm Inclined cutting technology Yes Clamp paper manual Push paper manual safety protective cover NW. 75kgs GW. 1 YRS Xuzhou Dongjie Paper Machinery Co., Ltd.
2. During warranty, we provide free normal spare parts once machine has probem. 1 Ruicai CE ISO A4 Size Paper Cutting Machine Chnia No. 1 Ruicai CE ISO A4 Size Paper Cutting Machine Chnia No. 7 YRS Qinyang No.1 Paper Machinery Co., Ltd.
Alibaba.com offers 8,431 a4 paper cutting machine products. About 54% of these are paper processing machinery, 7% are paper trimmer, and 5% are paper product making machinery. 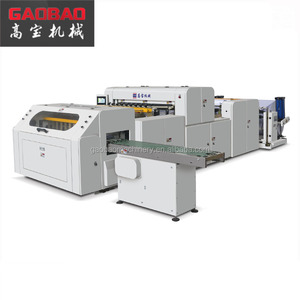 A wide variety of a4 paper cutting machine options are available to you, such as paper cutting machine, pulping equipment, and die-cutting machine. You can also choose from yes, no. As well as from free samples, paid samples. 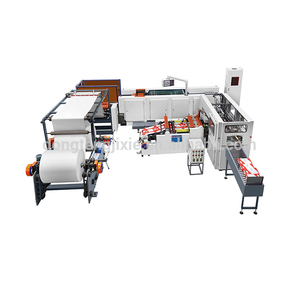 There are 8,431 a4 paper cutting machine suppliers, mainly located in Asia. 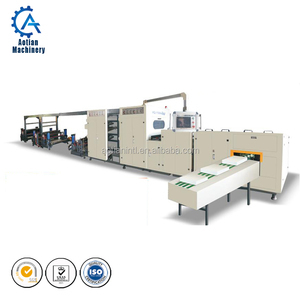 The top supplying country is China (Mainland), which supply 100% of a4 paper cutting machine respectively. 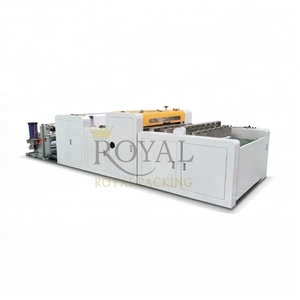 A4 paper cutting machine products are most popular in North America, Mid East, and Southeast Asia. You can ensure product safety by selecting from certified suppliers, including 1,868 with Other, 1,579 with ISO9001, and 164 with ISO14001 certification.